Solidarity is a word of strength to the social world. The exchange of mutual assistance within our societies is a generous pattern of life we inculcate within every generation to keep the living standard of the vulnerable community favorable. AS A USER OF THE SOLIDARITY APP, HAVE DONE MY RESEARCH INTENSIVELY AND HAVE GENERATED THE FOLLOWING OPINIONS ABOUT THIS ANDROID APP. 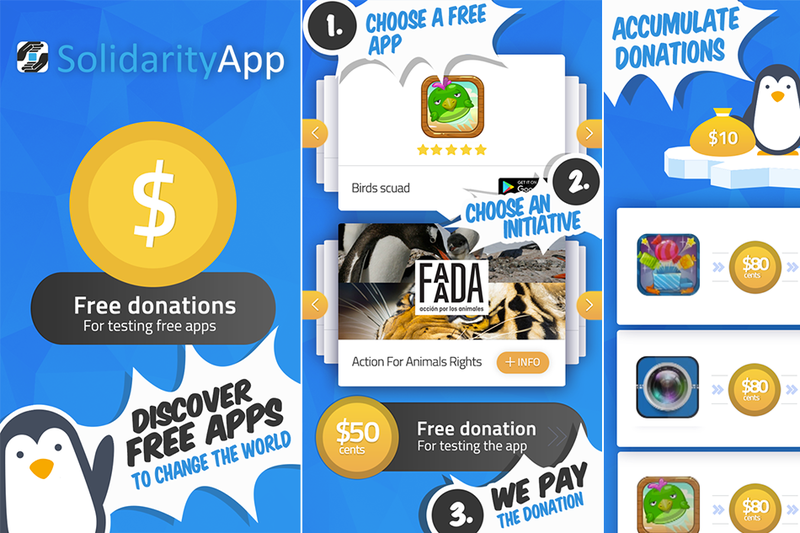 Solidarity app boosts the strength of the humanitarian and animals rights organs. The app is designed for charity support when downloaded by the users hence, the users can select the numerous initiative/campaigns posted. · Company: Solidarity app Inc. The proprietors of this app are generous android app developers. The developers want to bridge the tech world with the social world to fight for both animals and human rights from being violated or unattended. The money they generate for this project is directly submitted on your behalf to the affected victims of different parts of the world. The apps or games are available via Solidarity link. Anytime a user of solidarity app tries and test any app or game, the credit goes to them. The business world uses the android games or apps for marketing or advertisement, so downloading the free apps or games will greatly support the organization to support the needy community. Select game or app of your choice; you can select an app or that game you love most to play since, the developers have availed many apps & games of your choice. Pick a campaign; the campaigns are arranged systematically for the users of the app to pick since you can’t pick all of them. Free download & enjoy the app; finally you are set free to download the app, install and enjoy your moment because your participation is hugely appreciated! Pros; the app is a great design of a pure generosity since they have practically discovered to us all the campaigns they support before you download the app. Cons: most of its games are not fun as many just download to support not because of the quality of the app hence, they only invest on #sympathy votes. Therefore, different approaches and measures have been designed, to eradicate these challenges off the earth but the effort has not born much fruits yet! The rapid growth of the digital world can be explored as a new opportunity to promote solidarity. The death of analogue world has given birth to the new digital world. A World of bullet connection of communication has reduced the planet into a global village where reaching people for aid are as a flash of lightening! Solidarity app is not profit oriented. An app of its own designed to help the weak is not chasing after the profit since; their core motive is to marry digital World and Social World for SOLIDARITY!